The Internal FOR1807 meeting 2017 tooke place in Würzburg. 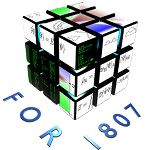 The Internal FOR1807 meeting 2017 took place in Würzburg from 29. to 30. March 2017. The meeting was used for scientific exchange between all colaborators of the research unit, as well as the organization of ongoing research projects.